The best website for sports footballMods vs Rockers 3 Cleveland! 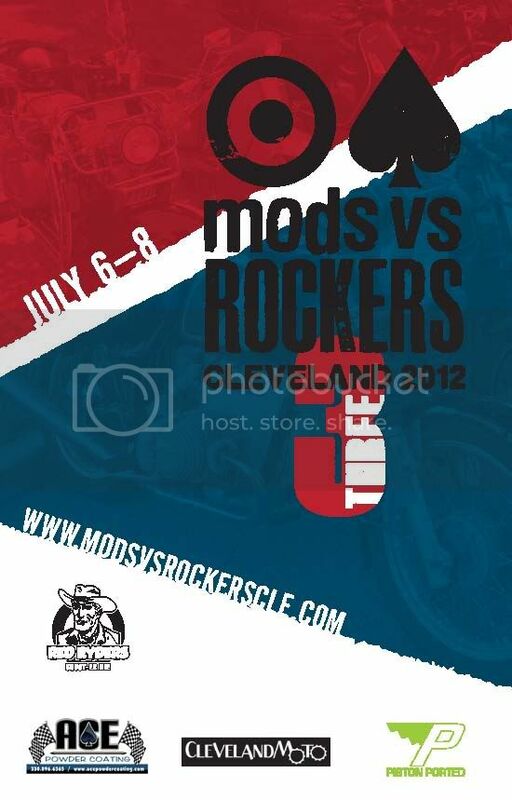 Re: Mods vs Rockers 3 Cleveland! I'll be there! Preregistered and everything. Last year was a great time. Right on. Me and DJElliott will be bumming around. We'll have to hook up. I'm riding from Detroit Friday morning, so I should get there well before the 7pm kick-off. I'm there. Looking forward to meeting all of you that make it. I was at the first, but had to miss last year- Looks to be a great event. Cool. I'll be riding out with Jim ( AlchemyPGH ) and maybe a few others, just not sure if our schedules are in sync. We're meeting Tom from Rock & Ride fri night. I'd like to get there by 7:00, just not sure if I can get out of work early. Sweet, tell Jim I'm getting a quote on a seat from him. Gotta start saving up my allowance.